I admit, the name drew me in, The Clever Badger... I had no idea what the site was but I was curious. Their great designs which are printed on to homewares, stationary and jewellery are quirky, to say the least! There’s lots of bits and pieces such as cushions, mugs, tote bags and pencil cases - a lot with a woodland theme. The have a load of designers on board creating unique products to brighten up even the dullest office. 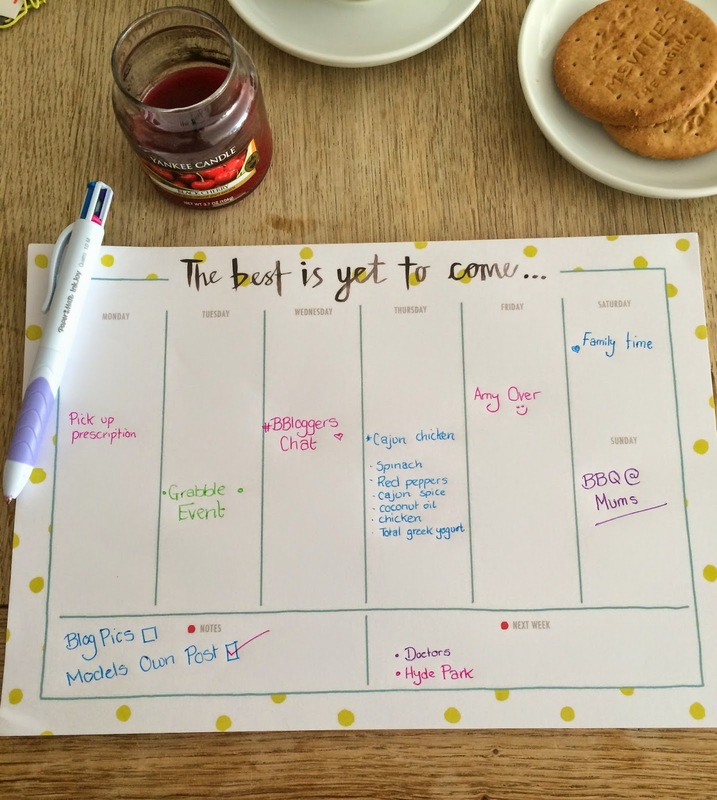 I’ve been having a bit of blog organisation breakdown lately –if that’s even a thing. 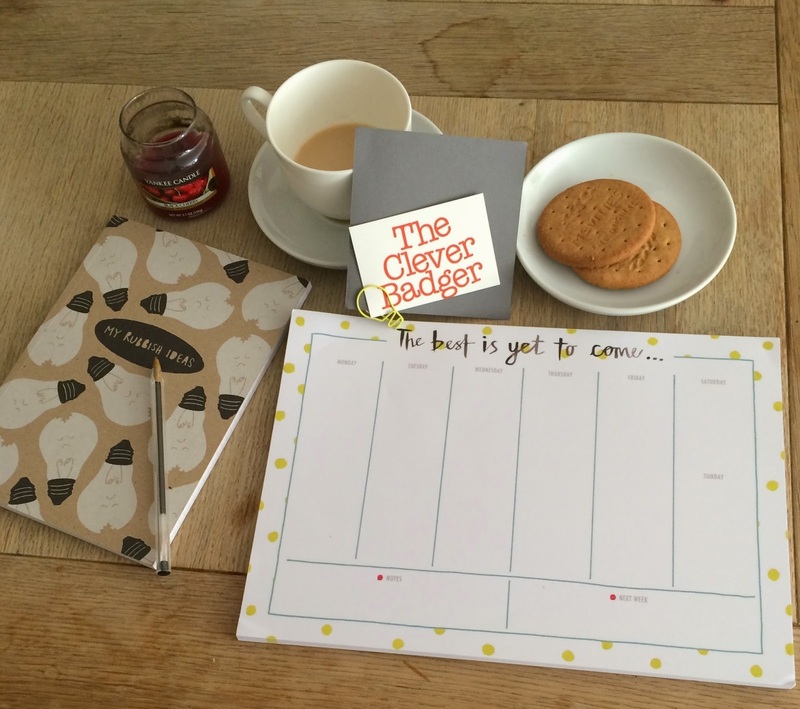 After discovering Clever Badger I was sent the planner and notebook to help out and get my blog organised. The planner is by Betty Etiquette who are a London-based stationery brand whose products range from desk pads to unique greeting cards. 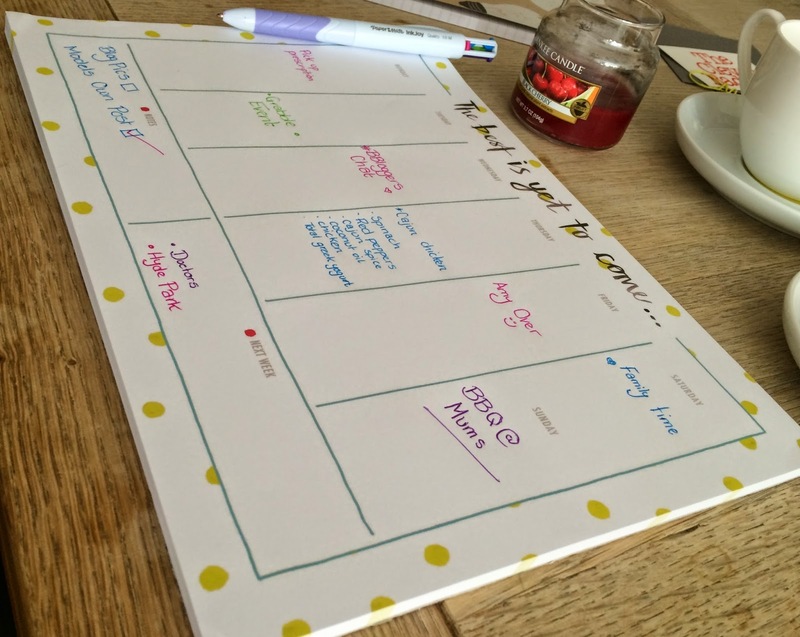 It’s a simple, yet attractive design splitting your week up so you can tackle tasks bit by bit. There’s 52 tear off pages so it will last you all year. I've actually found it really useful already. I find having a planner on my desk is great for me to note down bits and bobs. It’s handy to have under the keyboard to just look down at for a quick reference and remind me of what needs dong each day. Ticking off things from a list gives me great satisfaction, I even write down something I have already done just to tick it off! It starts off so neat and then by the end of the week its all squiggles. But I have good intentions! I’ve mentioned before how I love notebooks. So much so that I have lots. All over the place …unused. I seem to like buying these things, just not actually using them, it seems! 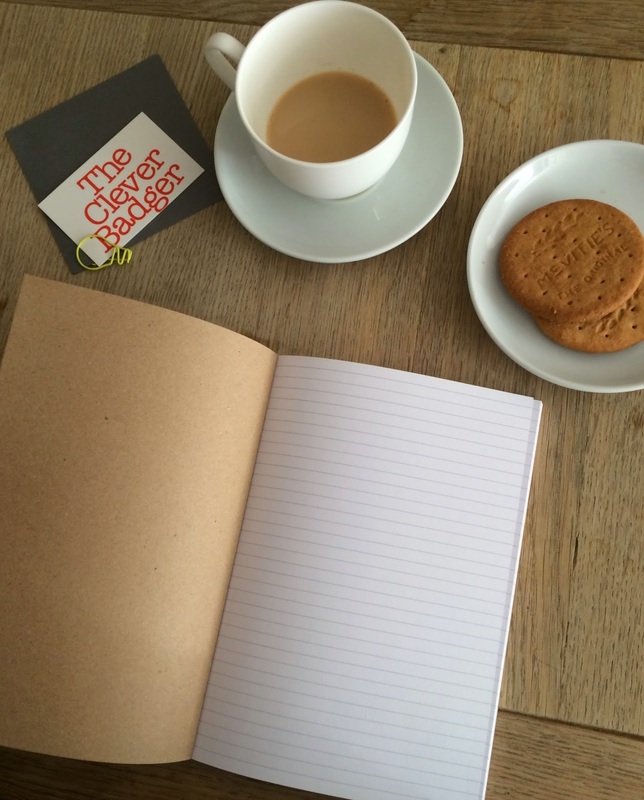 But I do love this little A5 notebook by Stormy Night. I really like the design and the notebook is double sided. 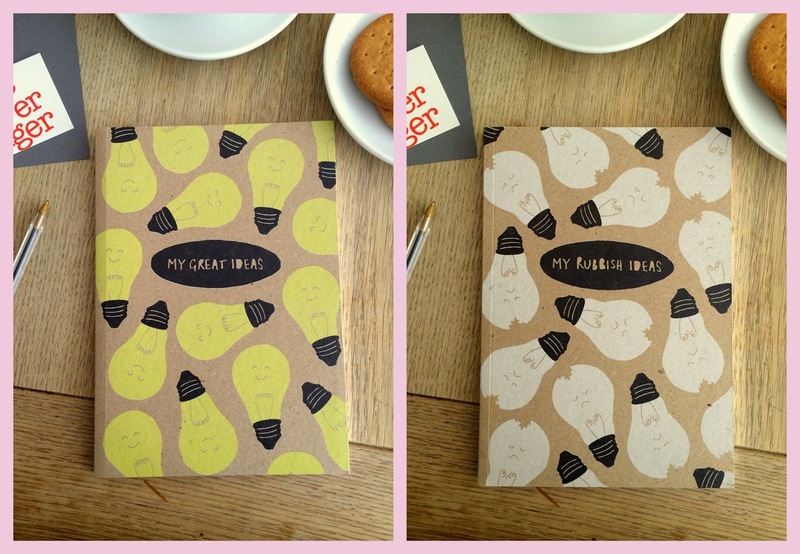 On the front it has yellow light bulbs titles with 'my great ideas' and when you flip it it's the opposite with sad white bulbs with 'my rubbish ideas' So depending how positive you're feeling it's great! It’s printed onto 100% recycled card and has 100 pages inside. I’m going to make sure I use this one and keep in in my bag at all times! I've been selling a few bits on eBay lately and I've packed a few things up with this great tape! 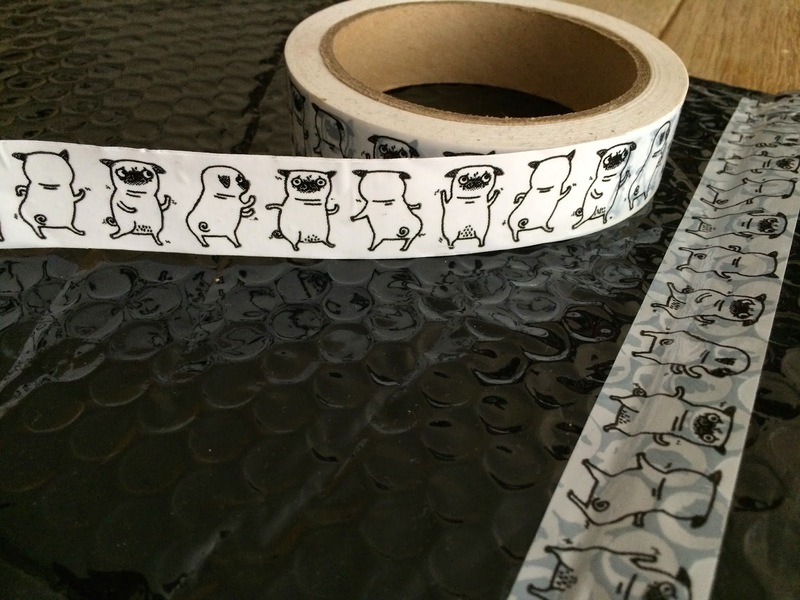 It's got to make even the most miserable person smile -it's got a dancing pug on it! I'm not even a pug fan and I love it! It’s brought to you by a lovely little company called Ohh Deer who aim to bring quirky illustrations from some of the best illustrators the the general public. They create everything from greetings cards to t-shirts and make sure that the best is represented. It’s £3.50 for 60m so there’s loads to brighten up your package (eh-hem). There's some excellent unique gift ideas on the site so have a little look and buy a friend a treat... even if you just end up keeping it for yourself! I'm a fan of lovely stationary, I've actually been looking for a weekly planner for my work desk so will definitely have to check these out! That looks perfect and really cute. It reminds me of the stationary I love by May designs which they don't ship to the UK. :( I will definitely be checking them out .